Endemic measles has officially been wiped out in the Americas. That means the only outbreaks that happen are those imported from abroad. It’s the first region in the world to achieve this certification, but the battle against measles is far from over. We’re looking at you, anti-vaxxers. The historic announcement was made yesterday at a meeting held by the Pan American Health Organization (PAHO), a division of the World Health Organization (WHO). The Western Hemisphere’s last case of endemic measles happened back in 2002, but it took the PAHO 14 years to declare the Region of the Americas completely free of the disease. That‘s mostly due to poor communication between departments, the large number of unvaccinated migrants, and civil strife. This historic milestone took a lot of work and coordination, including strong political commitments from member states and mass vaccination campaigns against measles, mumps, and rubella throughout the Americas. 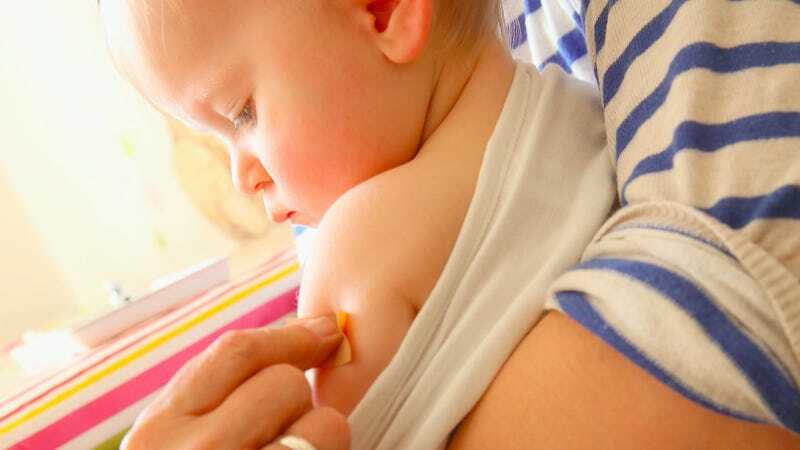 Measles is now the fifth vaccine-preventable disease to be wiped out from the Americas, joining smallpox, polio, rubella, and congenital rubella syndrome. Prior to the introduction of mass vaccinations in 1980, measles caused nearly 2.6 million annual deaths worldwide. These days, about 96,000 people die each year from the highly contagious disease. Measles is transmitted by airborne droplets or by direct contact with bodily secretions, and symptoms include high fever, a body rash, stuffy nose, and reddened eyes. Children are particularly vulnerable. However, imported outbreaks still occur. Infected travelers bring the disease along with them on an all-too frequent basis, highlighting the need for constant vigilance. In recent years, the United States has experienced a batch of these highly localized outbreaks, including one in 2015 involving 189 people from 24 states. In the majority of these cases, the people who became infected were unvaccinated. Measles can quickly spread when it reaches a community where significant numbers of people aren’t vaccinated. All of the cases in the United States were quickly contained, preventing the disease from becoming endemic in the country once more. Prior to the introduction of the measles vaccination in 1963, around three to four million cases of the disease were recorded in the United States each year. But anti-vaxxers could destroy all of this work. A disease can only become endemic—that is, spread through a population without the need for an external source (like an infected traveler)—if most of the people in the population are vaccinated. It’s called herd immunity. According to the Oxford Vaccination Group, 19 out of 20 people, or 95 percent of the population, need to be vaccinated against measles to protect people who are not vaccinated. Unlike anti-vaxxers who voluntarily and irrationally choose to not get themselves or their children vaccinated, there are some people who can’t get vaccinated for health reasons and depend on herd immunity. That include those without fully functional immune systems, people undergoing chemotherapy, newborn babies, and the elderly, to name a few. Anti-vaxxers—and the growing number of unvaccinated children—pose a direct threat to these vulnerable groups. As for the global battle to combat measles, that work is ongoing.